Caroline Nursing and Rehabilitation Center is an 89-bed nursing home in Denton, Maryland about 35 minutes east of the Bay Bridge in Caroline County. This nursing home was most recently ranked by Medicare as better than average on its health inspection and quality measures, and better than average overall. Compared with other nursing and rehab facilities in its area - Maryland's Eastern Shore - Caroline claims to be tops, "ranked #1… out of over 200 nursing facilities in the Pay for Performance program" in 2014. That is not the same as saying it is the best nursing home in the region. Certain, this is not a terrible nursing home. But it is hard to argue it is the best nursing home in the area. In 2015 Caroline was acquired by Auora Mid-Atlantic LLC in June 2015, which operates or manages six skilled nursing and rehabilitation and two assisted living centers (such this nursing home in Calvert County). All but one of Aurora's facilities are located in Maryland. So it appears that Aurora, a for-profit company in Millersville, Maryland, is both a management company and the owner of this facility. Was Auora managing the facility before they owned it? We do not know the history. In terms of the resident population, Caroline is a bit smaller than average, with 81 residents, versus 86.2 on average for the U.S. and 107.5 for the state of Maryland. The last Medicare standard health inspection, in December, 2015, gave Caroline a 4-of-5 star rating: with fewer deficiencies (5) than either the state (11) or the U.S. (7.1). Caroline excelled the state and national averages on fire safety. A lot of people looking at nursing homes skim past talk of a fire safety because how many fires are there anyway? Actually, in a nursing home setting, there are a lot. But beyond that, it is a real sign of whether the nursing home is attentive to details. A nursing home that is diligent about fire safety is far moe likely to be diligent about keeping an eye on bed sores that can kill a patient. Caroline got a 3-for-5 star rating on staffing: average. However, this facility was found to be lower than the state and national averages, for nurse time per resident per day, in every category: total nurse time; RN time; time with LPNs and LVNs (licensed practical nurses, licensed vocational nurses), with certified nursing assistants, and with physical therapists. We think the Maryland state average is too low and this nursing home is even below that. To be fair, Caroline is not a lot lower in each staffing category, but it is lower in every staffing category. The across-the-board below-average numbers make it noteworthy that Caroline got an average rating overall. Caroline was ranked above-average on quality measures, and the breakdown of the numbers would tend to support this ranking. For short-stay residents, Caroline came in about on par with state and national norms on four measured categories. It scored better than the state averages for helping residents improve functionality; and on the low usage of antipsychotic meds (zero percent, versus 2.2 percent for the state and the U.S.) It was marginally better on the rate of rehospitalizations and successful discharges to the community; although below average on pressure ulcer incidence and the administration of flu and pneumonia vaccines. By most measures, Caroline also has been doing well by its long-stay residents. They were only about half as likely (compared with state and U.S. averages) to have urinary tract infections, and less than half as likely to have pressure ulcers. Let's give credit where credit is due, notwithstanding the health inspection we talk about below. Like the fire safety issue above, bed sore frequency (and to a less extent UTI frequency) is an excellent marker for attention to detail when it comes to patient care. Our nursing home lawyers see a lot of bed sore cases, usually as a result of a nursing home just dropping the ball on basic patient care. If you are keeping an eye on the ball with bed sores, you are likely doing a good job with many of the other details of resident care. Caroline long-stayers were less likely than the state and national averages to report moderate to severe pain, and also less likely to have symptoms of depression. Caroline was lower than the averages on using antianxiety medications - although marginally higher on using antipsychotic meds. This facility was excellent on minimal use of physical restraints: zero percent, versus 0.6 percent for the state, 0.8 percent for the U.S. It was above average on administering flu and influenza vaccines. It scored slightly on the high side of average for incontinence rates, and also was more apt to use prolonged catheterization. Caroline has not had any federal fines or payment denials in the past three years, but its last standard health inspection, December 4, 2015, produced a health complaint report. On this inspection (which doubled as the standard health inspection), Caroline was found to have administered a medical test to a terminally ill resident against that resident's wishes; was found to have failed accurately to assess a new resident for pressure ulcers; and "failed to effectively evaluate and update care interventions for use of a Foley catheter." 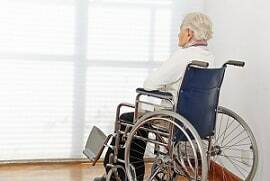 If you believe you have a potential nursing home lawsuit against this Caroline nursing home or any other nursing home or assisted living facility, call Miller & Zois today at 800-553-8082 or get a free no obligation case review. Call our nursing home lawyers today at 1.800.553.8082 or get a free online case review if you believe you may have a potential nursing home lawsuit in Maryland. There is no a cost or fee or any kind unless we get money damages for you.